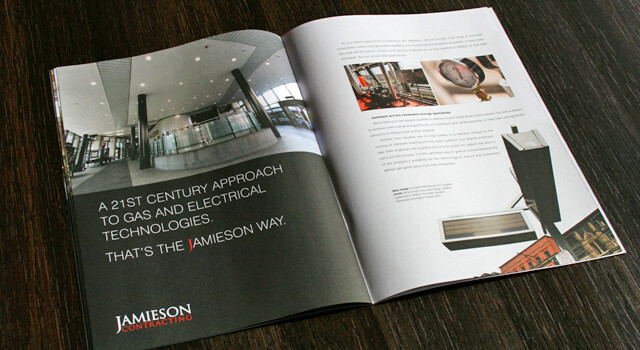 Design and production of corporate brochure. 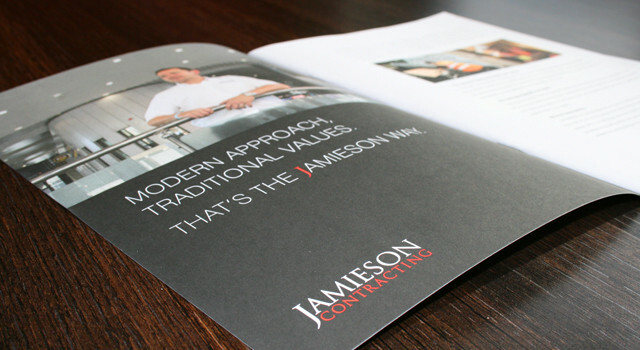 Established for 30 years, Jamieson Contracting is a leading construction services company based in the North West, undertaking projects in both public and private sector businesses across the North of England. They have built their success on a forward thinking, modern approach to construction, reinforced with a solid foundation of traditional values. 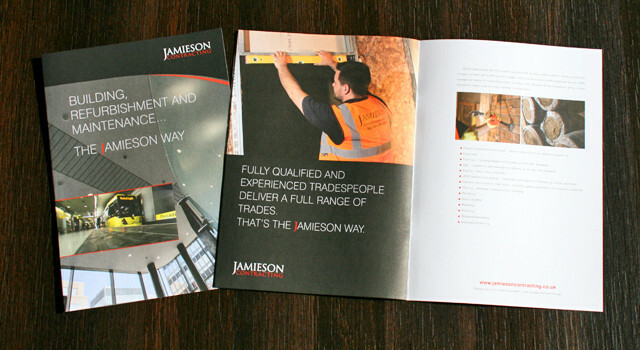 CQ2 were briefed to improve their profile by way of a new corporate identity, brochure and a website. New photography was commissioned and art directed for use across all collateral.